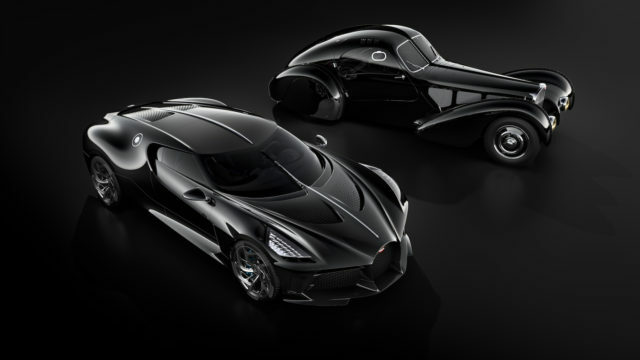 To commemorate its 110th anniversary, Bugatti has unveiled a unique coupe model – La Voiture Noire. Inspired by the French marque’s Type 57 SC Atlantic from 1938, La Voiture Noire features the same 8.0-litre W16 engine used in the Chiron that develops 1,479bhp and 1,600Nm of torque, and has been built for an unnamed ‘Bugatti enthusiast’. Costing €11m before tax (around £9.4m) La Voiture Noire translates to ‘the black car’ and comes with handcrafted carbon fibre panels finished gloss black paint, as well as exclusive silver and black wheels. Like the Type 57, La Voiture Noire comes with distinctive creases on the bonnet and down the centre of the roof, while it also has the instantly recognisable Bugatti horseshoe grille and extended haunches to sit over the wheels. 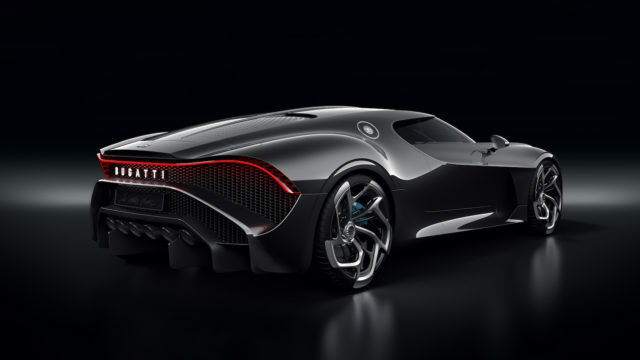 The rear incorporates a single light bar that follows the shape of the bodywork, with Bugatti also fitting six exhausts that sits in and around the rear diffuser. The SC Atlantic is considered Jean Bugatti’s greatest design and after creating the Type 57 for various body types, such as the Galibier four-door, Stelvio convertible and Ventoux two-door, only four Atlantic models were ever made. 2019 also marks what would have been Jean’s 110th birthday, but he died in 1939 following a car accident.